Congratulations to Dr. Jaehun Chun on being honored by the Korean Institute of Chemical Engineers (KIChE), U.S. Chapter, for his exceptional leadership in chemical engineering. Chun will receive the James M. Lee Memorial Award, which acknowledges the work of mid-career Korean and Korean-American scientists, November 1 at the American Institute of Chemical Engineers Annual Meeting in Minneapolis. As part of the award, Chun will present a lecture at the annual meeting's KIChE Open Forum. "It's a great honor to receive this prestigious award that pays tribute to and reflects the values of James M. Lee, a prominent leader in the chemical engineering field. The award indeed results from constructive collaboration with colleagues," Chun says. 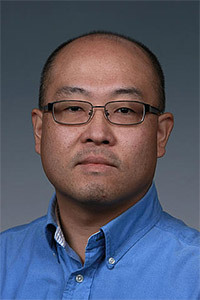 Chun is a research lead on the IDREAM Energy Frontier Research Center and a scientist at Pacific Northwest National Laboratory. According to KIChE, Professor Lee played a seminal role in chemical engineering, and nearly every practitioner in this field was associated with him, directly or indirectly. His example, counsel, and advice impacted countless Korean-American scientists and engineers, encouraging them to seek excellence in teaching, research, and professional contributions to basic and interdisciplinary science and engineering. The award recipient must be a principal investigator of Korean descent affiliated with a U.S. institution of higher education, national laboratory, industrial laboratory or non-profit research organization.